Some say the concept is biblical. Others say it’s from Chinese philosopher Lao Tzu. Either way, we like the idea of teaching people a useful skill rather than simply filling a need temporarily. Here are some examples of educational support projects now in progress. Ilene (left) and Susanna (center) helps workshop participants learn sewing techniques. 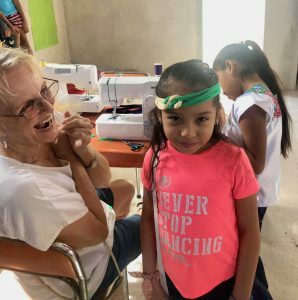 Five sewing workshops provided by FOC volunteers in January and February are teaching skills for family clothing needs and to help individuals earn money to support their families. Workshops focused on clothing repair and creating new items from repurposed materials. 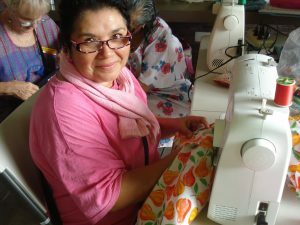 Carmen learns to make a market bag during a workshop. 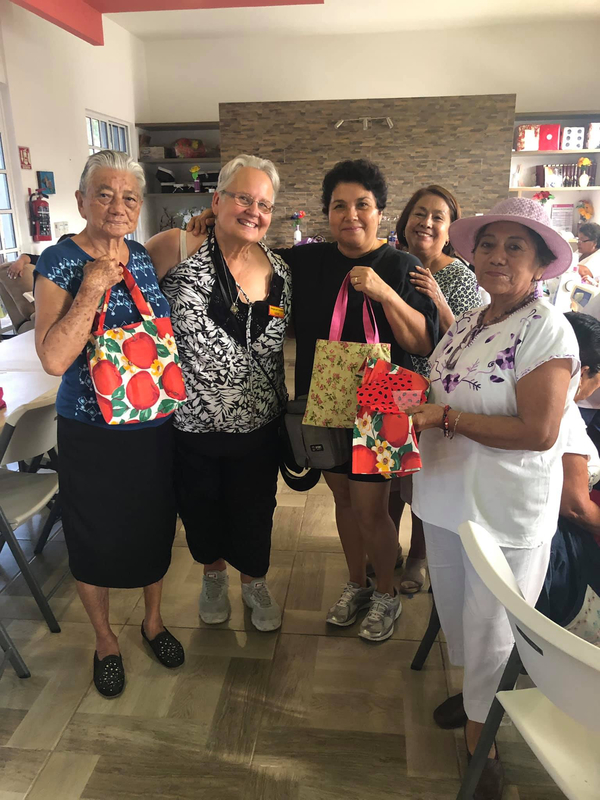 Another workshop on making reversible cloth bags drew women interested in using scrap material to create purses or shopping bags to use in the market. 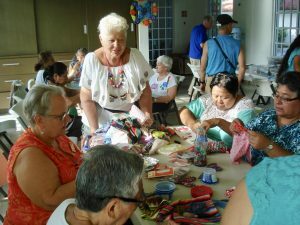 Using repurposed materials showed participants they could make affordable projects for their own use, for a gift or perhaps to sell. 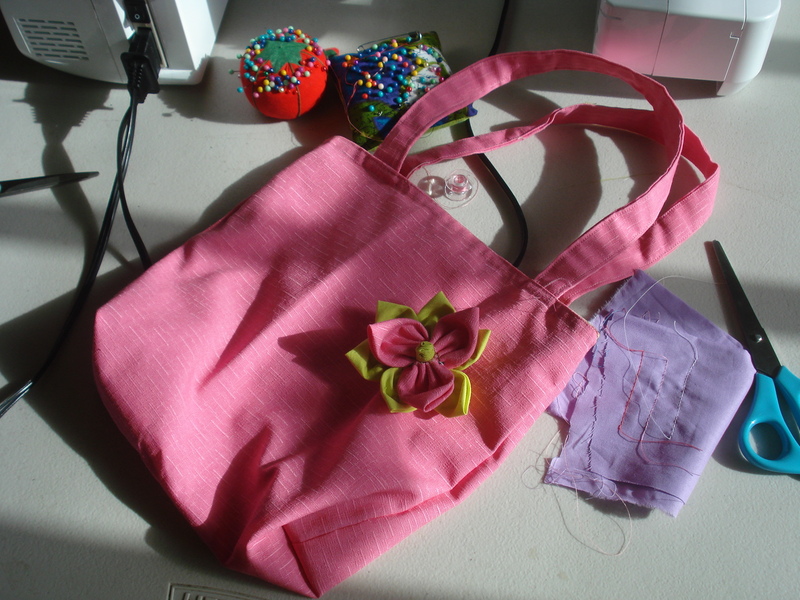 One bag used fabric repurposed from shorts that had lost the stretch in its elastic waistband. The pattern for the decorative fabric flower was cut from a recycled yogurt container. A used button recovered from old clothing gave the final touch as the flower’s center. 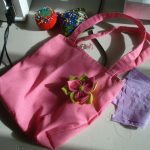 Reversible cloth bags were made from repurposed materials. 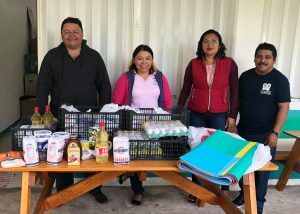 Another FOC educational support project was donating resources to schools that service students with a variety of special needs and developmental disabilities. CAM Secondaria opened last fall and works with 38 middle school age youth. Teaching and learning supplies were donated by some retired teachers and social workers from the U.S.
Additional supplies were purchased with donated funds for CAM Laboral, a public school for teens and young adults age 14-24. The school is dedicated to teaching life skills in cooking, computer work and crafts. 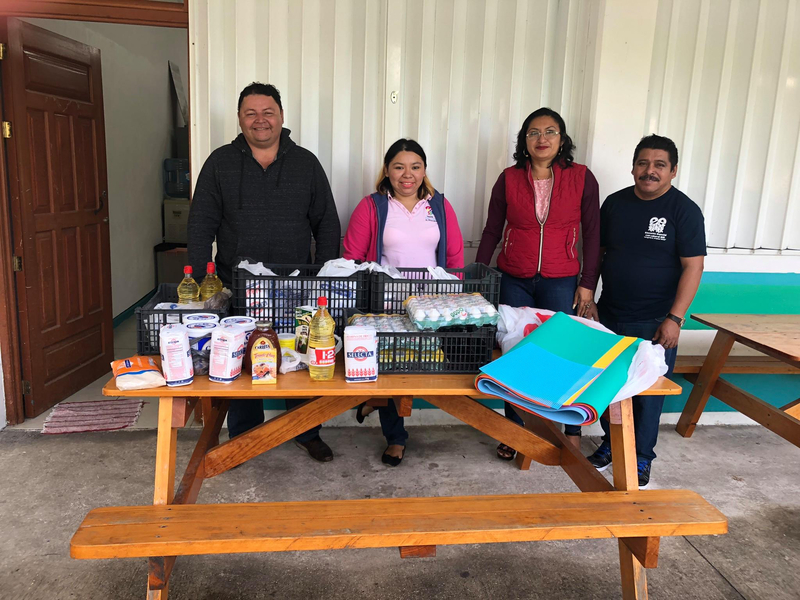 Staff at CAM Laboral are happy to get donations of food and supplies to use in students’ cooking and craft classes. 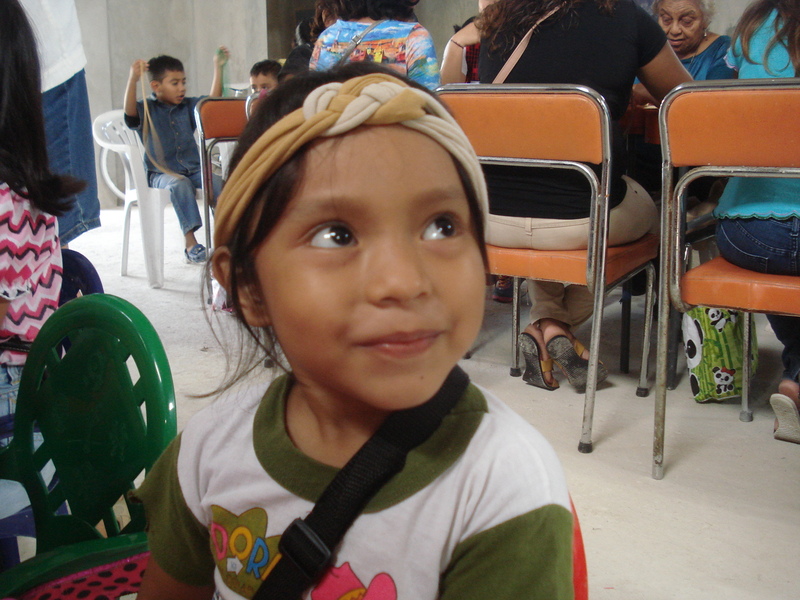 Shopping locally for the supplies needed by the CAM school was no easy task. Who knew there are specific words for the various beads and sheets of flexible foam and plastic netting used in craft projects? If you did know the word in English, could you come up with it in Spanish? And what is the conversion from grams to kilos when trying to purchase a specific amount of yeast or confectioners sugar? Our learning process was all part of the fun. Whether the FOC volunteers are in teaching situations or acquiring a new understanding of the people of Cozumel, in the end, we’re all still learning to fish. Both young and older participants enjoyed a workshop to make headbands from recycled t-shirts. This entry was posted in Uncategorized on January 25, 2019 by pedersenll.